This drink is very beneficial in hot summer season. It combines the flavors of watermelon, yogurt and cream. A refreshing and healthy drink by chef Zakir. 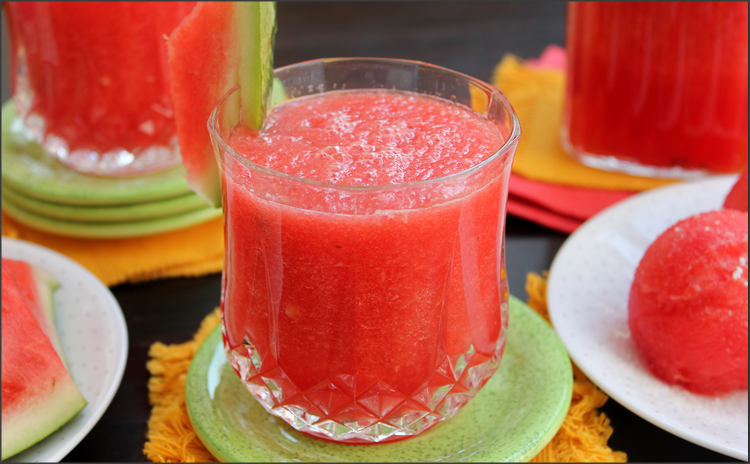 Blend watermelon with half glass water. Again pour this in blender jug along with yogurt, cream and sugar. Shake well. Add ice and again shake well.